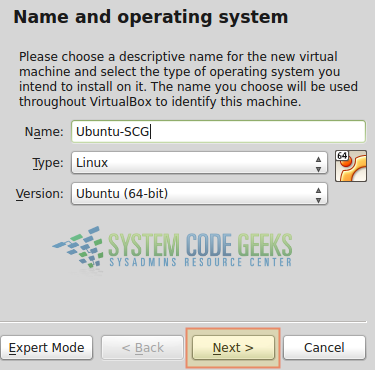 In this post, we feature Virtualization with VirtualBox. 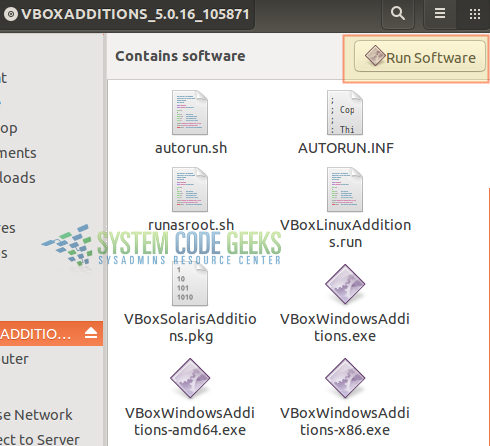 This article is part of our Academy Course titled VirtualBox Tutorial: Virtualization Essentials. In this course, we provide a compilation of VirtualBox tutorials that will help you get started with this virtualization platform. We cover a wide range of topics, from installing the software and performing a basic configuration, to cloning, exporting, importing, and removing virtual machines. With our straightforward tutorials, you will be able to get your own Virtual Machines up and running in minimum time. Check it out here! Although the concept of virtualization has been around since the 1960’s, it wasn’t until recent (10-15) years that it became a well-known term in the IT industry. In simple terms, virtualization allows to create several virtual resources (known as virtual machines or guests) on top on physical hardware (which is known as the host). Through the use of virtualization software (also known as Virtual Machine Monitor, VMM, or hypervisor), the host allows each guest to utilize its computing resources (a portion of storage space, RAM, CPU time, and one or more network interfaces, to name a few examples). Thus, hardware maintenance costs and required physical space are reduced significantly, while making it possible for related applications (i.e. a web server and a database server) to run on separate “boxes” to improve security and stability. VirtualBox is a popular virtualization solution for both enterprise and personal use. In addition, it is distributed at no cost under the terms of version 2 of the GNU General Public License (GPL v2), and is available for 32 and 64-bit platforms. VirtualBox currently can run on Linux, Windows, Macintosh and Solaris hosts and supports a wide variety of operating systems as guests. In other words, by installing and using VirtualBox on your computer you can run several virtual machines on top of it – each one with its own operating system, while sharing the physical resources provided by the underlying hardware. Guest additions are drivers and applications that optimize the communication and integration between host and guest and improve the usability of the guest operating system (shared clipboard and folders between host and guests, mouse pointer integration, support for multiple screen resolutions, to name a few examples). Without the guest additions, these features are not present. Extension packs provide additional functionality to support USB 2.0 and 3.0 integration between the host and guests (allowing a guest to use an USB drive or device connected to the host, such as a webcam), virtual remote desktop (meaning a virtual machine can run on one host but be displayed and controlled from a separate computer), and encryption for disk images. We will now explain how to install VirtualBox along with the guest additions and the extension pack. Both the guest additions and the extension packs are distributed as one software resource each, and can be easily installed along with VirtualBox. However, let us keep in mind that as the word suggests, the guest additions should be installed on a per guest basis, as opposed to the extension pack which is supposed to be integrated with the main VirtualBox installation. To download the latest VirtualBox release for your host, go to https://www.virtualbox.org/wiki/Downloads and choose your operating system version and architecture. If you are running Microsoft Windows Vista SP1 or newer on the host, the installation file will consist of a .exe file. 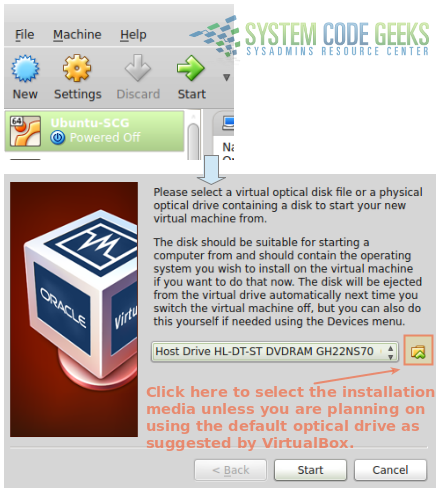 Double click on that file to install VirtualBox with the default settings by pressing the Next button a couple of times. If you are running Linux on your host, the installation command will vary depending on the distribution family. For Fedora-based distributions you will need to do rpm -Uvh file.rpm, whereas for Debian and derivatives you will use dpkg -i file.deb (with sudo if you’re on Ubuntu or a similar distribution). Replace file with the name of the actual installation file in your case. We will now walk you through the initial setup of an Ubuntu 14.04 desktop as your first virtual machine. Note that this will require that you download an .iso file from http://www.ubuntu.com/desktop first. 3) As you can see in Fig. 4, it’s now time to allocate a safe amount of memory for your virtual machine (feel free to allocate more than the suggested amount if you can afford to). 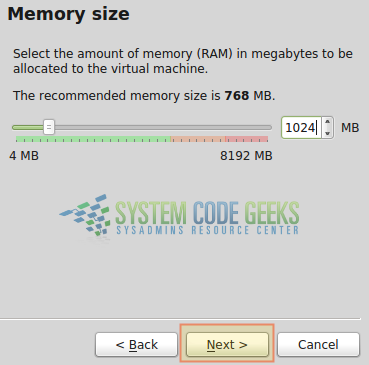 Note that you will need to have that same amount of RAM available as it will be taken by the virtual machine when it boots; otherwise it will refuse to start. If you notice that the virtual machine could use some more memory after you start it for the first time -and you can afford to add it-, you will be able to do so later on using the Settings menu. To modify the settings of a specific virtual machine, it needs to be turned off. Although we will explain this in more detail in the next tutorial, it is important to know that this is another advantage of virtualization: you can provision your virtual machines when you first create them but also can modify its resources without much hassle later. 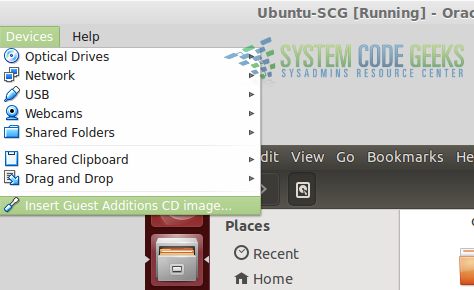 Once you have confirmed the settings mentioned above (perhaps choosing a different disk size, which is OK if you can afford it), click the Create button to finish the configuration part of the process. It is important to note that the virtual hard disk will NOT initially take up the amount of space we indicated previously. Instead, that value is the limit of storage space that is enforced for this virtual machine. Once that limit is reached you will not be able to save other files. 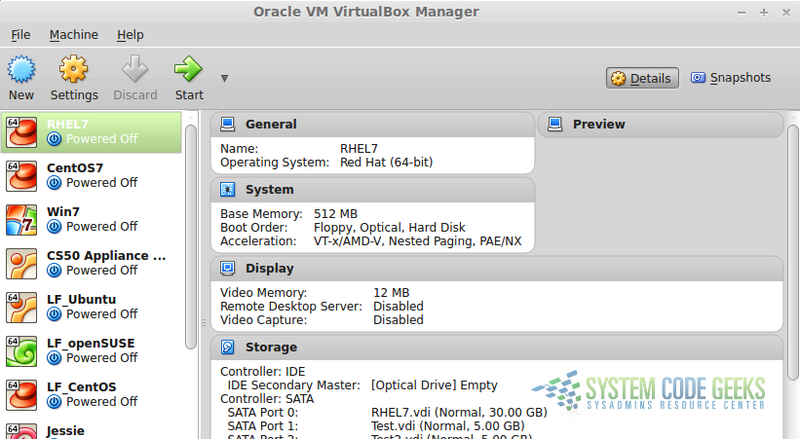 5) The virtual machine now shows at the top of the list in VirtualBox. To load the .iso file for installation, select it and click Start as shown in Fig. 6. You will be prompted to select the installation media. As you can see, this can either be an .iso file as in our case, or an optical drive such as a DVD drive where a disk containing the operating system installation files has been placed. From this point forward, the creation of the virtual machine follows the exact same procedure as if you were performing the installation on bare metal. Once the installation completes we can proceed with the guest additions and the extension pack. The guest additions will then be applied to your new virtual machine the next time it boots (for example, you will notice that the screen of the virtual machine can now be resized to occupy the entire screen of the host). After reviewing the license terms, you may be prompted to enter superuser credentials or confirm that you want to perform the installation of the extension pack using administrator privileges. In any event, choose Yes and wait until the process completes. 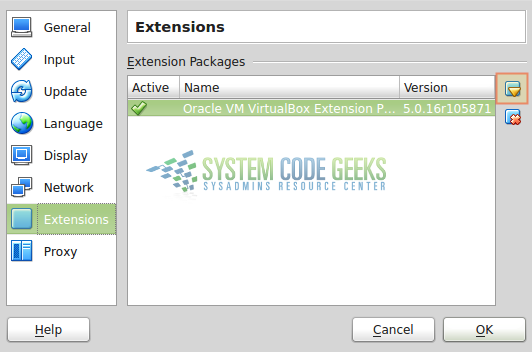 At this point you will have the features available through the extension pack, which we mentioned earlier, in your VirtualBox installation. In this article we have introduced you to the concept of virtualization and the features of VirtualBox to create virtual machines. As a plus, everyone with the necessary development skills is invited and welcomed to participate in the development and improvement of VirtualBox. At the same time, Oracle ensures the product meets strict quality standards. Thus, you can rest assured that this product has the capability and the potential to meet your virtualization needs, regardless of what those may be. I have been having issues with both VirtualBox and Hyper-V installed on my Windows 10 Professional box, but not run at the same time. Am I out on left field on this one? Currently have Win7 in one container (for some reason, the install code pointed to the French .iso) and Ubuntu 15.04 in another on Hyper-V.
-What exactly are the issues you are experiencing? Are they Hyper-V or VirtualBox related? If the latter, did you check the VirtualBox logs? -Did you start experiencing these issues recently after installing VirtualBox? If so, did you try uninstalling VirtualBox to see if they are gone?